Bangladesh enjoyed a remarkable year of success in 2006 considering its performances in the last five years (2000-2005) after gaining the test status. A number of cricket pundits were very much critical about Bangladesh's future as a cricket nation after the famous debacle in 2003 World Cup. Bangladesh has managed to silence many critics and on the way of silencing others. 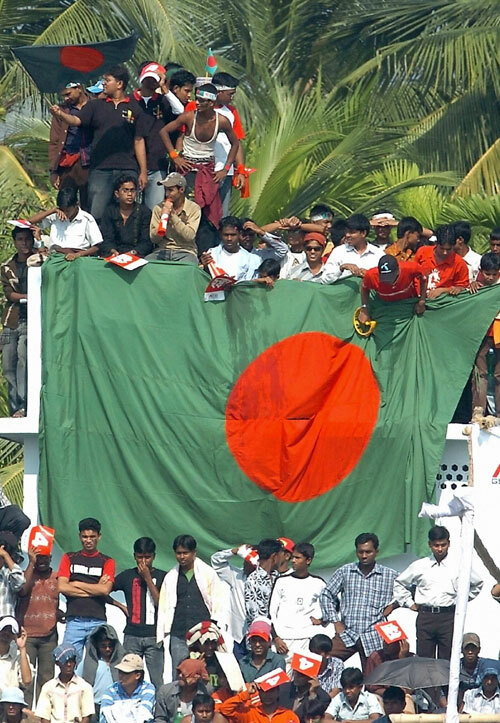 Many esteemed cricket journalists are now strongly supporting Bangladesh as an emerging cricket nation and Bangladesh has gained the space in Wisden's review for its positive performance.In the current article I will review the advancement of Bangladesh Cricket in 2006 in two parts. In the first part I will concentrate on International arena and the second part will focus on the domestic cricket. Before 2006, Bangladesh was a success hungry cricket nation which enjoyed minimal success in world cricket compared to any other cricketing nation including lowly Kenya and Zimbabwe. The notable success before 2006 were all one off. Bangladesh failed to impress world cricketing arena with those successes as in all cases success was followed by dismal and shattering defeats. Now I am trying to remind you about the high points of Bangladesh cricket before 2006. First ever drawn test match against West Indies and first ever innings declaration at Gros Islet. In March, Bangladesh managed to defeat the full strength Zimbabwe side in the 3rd ODI of the series at Harare. In December, Bangladesh defeated India in their 100th ODI, this being only the third time that they beat a Test playing nation. Bangladesh enjoyed a rather eventful year in 2005. They secured their first ever test victory in their 35th test match against Zimbabwe at Chittagong. Bangladesh also enjoyed their first ever ODI series win against the same opposition. Despite losing the first two matches of the five-match series, they recovered to win the series 3-2. On June 18 of the same year, Bangladesh scored an upset victory over the mighty Australia in the NatWest Series. Australia scored 249 runs for 5 wickets in 50 overs. In reply, Bangladesh reached 250 runs with 4 balls to spare. Mohammad Ashraful scored 100 runs, his first one-day century, off just 101 balls, while Aftab Ahmed hit a huge six in the first ball of the final over, and hit a single for the next ball to win the game. In their journey from 2000-2005 Bangladesh was deprived of any sort of success for more than three years (31 may 1999 to 10 March 2004). We as a cricket team wobbled more than often and that continuously provoked some harsh comments from different corners. Now, let's focus on 2006. I will analyze Bangladesh's performance series by series. Bangladesh started 2006 rather quietly after a dismal away series against Srilanka in the last part of 2005. Bangladesh Captain Habibul Bashar termed the tour 'Worst Ever' for Bangladesh. Bangladesh started their campaign in 2006 against the same opposition at Bogra. Bangladesh were bundled out for a miserable 118 which further escalated Bangladesh's worry against test playing nations. Bangladesh came back strongly in the second ODI and enjoyed their first ever success against the islanders. With a disciplined bowling performance Bangladesh restricted Srilanka for 212 and won the match comfortably with 18 balls to spare. Good batting performance from Mohammad Ashraful (51), Javed Omar (40), Habibul Bashar (33) and Aftab Ahmed (32) made the win a easy one. Bangladesh lost the 3rd ODI and lost the series 2-1. Bangladesh continued their impressive form in the test series. With a masterful innings of 136 by Mohammad Ashraful, Bangladesh posted 319 in the first innings of the first test and restricted Srilanka to 338. Second innings batting debacle costed the match. Bangladesh also lost the second test match and lost the series 2-0. Bangladesh's strong point in the series was the impressive bowling by Shahadat Hossain (9/251) and Ashraful's 136. Bangladesh encountered Kenya in their second campaign of 2006 for a 4 match ODI series. Bangladesh headed in the series with a head to head record of one win against six losses. This series was monitored closely by cricket world to judge the progress of Bangladesh. Mixed expectations was aired, with some predicting a series win for Bangladesh while others predicted a close fight series win by Kenya. Many distinguished members of Banglacricket forum predicted strong performance from Kenya and heated debate were on about possible Bangladesh's failure. Bangladesh silenced their critic from both home and abroad by sealing the series 4-0. Their first ever whitewash in any ODI series. Kenya were comprehensively beaten in all four matches except the 3rd one in which they showed some sign of resistance. Aftab Ahmed (154 runs @51.33) and Shahriar Nafees (196 runs @ 49.00) led the run feast while Mohammad Rafiq (10 wicket @ 16.60), Syed Rasel (7 wicket @ 18.85) and Mashrafe Mortaza (7 wicket @ 19.42) led the bowling department to a clinical series whitewash. Home series against Kenya was the fisrt sign of consistency from Bangladesh cricket team which was lacking right from its introduction in world cricketing arena. Bangladesh's real progress in test match cricket was very strongly declared in the test series against Australia. For the first time in six years of Test status, Bangladesh finally succeeded in silencing their critics. It was a series against the best team of the world cricket with the worst (according to ranking), everyone expected a very one sided and boring test series. Bangladesh thought it different and performed extraordinarily and took Australia to the wire. After a remarkable first innings lead of 158, Bangladesh lost the test by 3 wickets after Mashrafe Mortaza dropped Ricky Ponting what could possibly have been a catch to turn the match around. Bangladesh's second innings failure made the way for the famous Aussie win. Shahriar Nafees declared his presence in test cricket with a mighty 138 in the first innings which laid the foundation of first innings total of 427. Mohammad Rafiq, the masterclass in left arm spin bowling fought hard for Bangladesh win and ended with career best figure of 9/160. Tow masterful innings by two great batsman Adam Glichrist and Ricky Ponting saved the blushes for Australia. So close yet so far. First test defeat by 3 wickets took its toll in the mind frame of young Bangladeshi side and they lost the second test by an inning and 80 runs. Jason Gillespie's unbeaten double ton further added misery to Bangladesh team. The fragile mindset of young Bangladesh team failed to recover in time and they lost the ODI series 3-0 without much fight except the first ODI. The performance of Bangladesh in the series was well summarized by Andrew Millers article 'When glory got away'. Mohammad Ashraful was miserable with bat throughout the series and his performances were heavily criticized. Despite poor ODI series, Bangladesh's first home series against mighty Aussies is considered as the strongest sign of progress made by Bangladesh team in recent past. Bangladesh was denied to show the potential to the next level as the FTP finalized by ICC barred Bangladesh from featuring in the test matches for the next 12 months. Bangladesh showed the worst part of their cricket in the away series against Zimbabwe in July-August 2006. This was the first away series against a full member nation which they started as favorite. Bangladesh lost the first ODI by 2 wickets and leveled the series in the next match by winning it by 62 runs. Unfortunately they lost their captain in the second match due to a thumb injury and that made the way for Khaled Mashud to lead Bangladesh for the rest of the series. Khaled Mashud failed to lead Bangladesh with examples and Bangladesh lost the series 2-3. The series deciding win came in the third ODI in which Bangladesh's leading bowler Mashrafe Mortaza conceded 18 runs in the last over with 17 runs required for Zimbabwe win. Brendan Taylor scored 6 from the last delivery to ensure Zimbabwe win. This series loss attracted heavy criticism from both home and abroad. Bangladesh Cricket Board launched an investigation amid report of 'Conflicts' in the team management'. Bangladesh had few high moments in the series. Shahriar Nafees scored an unbeaten century and was the highest run getter of the series (248 runs @ 62.00). Shahadat Hossain earned the first ever ODI bowling hattrick by a Bangladeshi bowler and was the highest wicket taker of the series (9 wickets @ 19.00). Abdur Razzak and Mashrafe Mortaza showed some good performance with ball (6 and 5 wickets respectively) while Rajin showed some good all-round performance (102 @ 34 and 6 wicket @ 8.50). After the miserable tour loss against Zimbabwe, the wounded Tigers met the equally wounded African Lions (after the whitewash they conceded against Bangladesh). This was a series to restore some pride for both teams. At the end, Bangladesh proved to be too strong for Kenya. Bangladesh expressed their tour misery against Zimbabwe as one-off and showed the real difference in cricketing class between Bangladesh and Kenya. After conceding 18 runs in the final over in 2nd ODI against Zimbabwe, Mashrafe Morataza came back in the series like a real wounded tiger. He performed extraordinarily well with both bat and ball. Bangladesh registered their first ever away series win with a comprehensive 3-0 rout against Kenya. Bangladesh sent Alok Kapali and Javed Omar back from the Zimbabwe tour and tested some young promising players for the Kenya tour. Sakib - Al - Hasan and Farhad Reza fully utilized their opportunity with some brilliant performances. Farhad Reza (90 runs @ 90.00) and Mohammad Ashraful (88 runs @ 44.00) led the batting while Mashrafe Mortaza led the bowling (12 wickets @ 8.66) with his career best bowling of 6/26. Mashrafe was well supported by Abdur Razzak (6 wicket @ 12.00) and Syed Rasel (7 wicket @ 11.57). Bangladesh's next assignment was the ICC Champions Trophy 2006 which was held in different venues of India. Bangladesh went to India with the aim to qualify for the main round of Champions Trophy. Bangladesh played qualifying round along with West Indies, Srilanka and Zimbabwe. Bangladesh defeated Punjab president XI in the practice match which further bolstered their chance. Bangladesh posted an impressive performance against Srilanka in the first match but lost the match by 37 runs. Despite the loss, Bangladesh's performance was noteworthy, as their 265/9 was the highest ever total against Srilanka. Bangladesh failed miserably in the fate deciding match against West Indies and eventually lost the match by 10 wickets. Bangladesh ease past Zimbabwe for the consolation win in the third match. They outplayed Zimbabwe by a huge margin of 101 runs. Shahriar Nafees posted a gritty 123 and the slow left arm spin army of Bangladesh took 7/56 runs in 26.4 overs to cause the Zimbabwe collapse. Bangladesh bowed out of ICC Champions trophy with some good performance which set the tone for their clinical finish of 2006 calendar year. Zimbabwe came to Bangladesh for a return tour in November 2006. This tour included the first ever Twenty20 International match for Bangladesh and a 5 match ODI series. Just before the series, Bangladesh cricket received a huge money boost due to the record breaking TV deal with Nimbus. Due to political unrest the deal was signed amid some hue and cry from a vested political segment. The ODI series was marked with some controversies due to squad selection. Mohammad Ashraful was left out of the squad for the first 3 match of the ODI series which stirred a lost of criticism from different segments of media and fans. Mohammad Ashraful stormed into the squad from the first ODI after he scored two consecutive century in the domestic first class tournament, one of which was the highest ever score (263) by a Bangladeshi batsman. Bangladesh managed to win their first ever twenty20 international comfortably by 43 runs at Khulna. Abdur Razzak was extraordinary with ball (17/3 in 4 overs). After the inaugural twenty20 win Bangladesh registered a 9 wicket win in the first ODI with a very strong performance. Shahriar Nafees continued his run feast against Zimbabwe with an unbeaten century of 105. This was his third consecutive century against Zimbabwe.In the second ODI, Bangladesh canter to an easy 6 wicket win with 7.3 overs to spare. A good opening performance (104) by the new opening pair Shahriar Nafees/Mehrab Jr. created the platform for the win. Bangladesh won the 3rd ODI by 26 runs. In this ODI Zimbabwe showed some sign of resistance. Bangladesh completed the clean sweep by defeating Zimbabwe in the next two ODIs by 8 and 3 wickets respectively. Shahriar Nafees again led the batting party with a remarkable 274 runs with an average of 67.50. He was well supported in the batting department by Aftab Ahmed (150 runs @ 50.00), Mehrab Hossain Jnr. (163 runs @ 32.60) and Habibul Bashar (66 runs @ 66.00). Abdur Razzak led the charge in bowling with 12 wickets with an average of 13.25. He was well supported by Mashrafe Mortaza (11 wickets @ 15.18). Shahadat Hossain, Sakib-Al-Hasan and Mohmmad Rafiq also made some impression with ball. 5-0 result against Zimbabwe was welcomed by the critics and fans. This result was well expected and with this result Bangladesh managed to bury many ghosts about inconsistent performance permanently from their cricket team. The final assignment for Bangladesh cricket team was the home series against the associate nation Scotland. Bangladesh share a somehow bitter memory with Scotland as they managed to beat Scotland in a very close fought match in the World Cup 1999 at Edinburgh. Scotland came to Bangladesh with a lot of hype and expressed strong desire and determination to pull of one or two win against the home side. Bangladesh outplayed Scotland in both matches and Scotland failed to translate their words in the press into performances in the field. Bangladesh won the first ODI by six wickets with 20.1 overs to spare. Thanks to some scintillating batting display by Aftab Ahmed (66 of 50 balls). Bangladesh managed to win the second ODY by a huge margin of 146 runs (their highest in ODI history). Aftab Ahmed again top scored with 52 runs. In the short ODI series, Aftab Ahmed led the batting with 118 runs with an average of 59.00. He was well supported by Sakib-Al-Hasan, Shahriar Nafees and Mashrafe Morataza. Shahriar Nafees became the first Bangladeshi batsman to score 1000 runs in a calendar year. Mohammad Rafiq and Sakib-Al-Hasan led the bowling with 4 wicket each. This is how Bangladesh featured in different series and tournaments in 2006. Bangladesh played 4 tests without a single win (along with West Indies who also failed to win a single test). On the other hand Bangladesh enjoyed a remarkable success in ODI cricket in which they Managed to win 18 out of the 28 matches played. Bangladesh only played 4 tests in 2006. They played two tests each against Australia and Srilanka. Apart from the first test against Srilanka and first test against Australia, Bangladesh failed to show the sign of consistency in performance. In all test matches Bangladesh showed weakness in mental strength to withstand pressure of the second innings batting. In 2006 their average first innings total was 293.5 a definite improvement from 2005. In 2005 their average first innings total was 215 (including two test against Zimbabwe). In 2006 their average second innings total was 208.5 and in 2005 it was 207.83 which are pretty similar. Despite keeping in mind that Bangladesh played two test against Zimbabwe in 2005, their second innings debacle is continuing. To improve as a test nation Bangladesh has to improve their second innings batting in test cricket. In 2006, Habibul Bashar (327 runs, avg. 40.5), Shahriar Nafees (330 runs, avg. 41.25) and Rajin Saleh (176 runs, avg. 44.oo) performed well with bat. Despite his brilliant century against Srilanka Mohammad Ashraful had a mediocre year with bat (avg. 30.25). Mohammad Rafiq showed a remarkable allround performance in tests. He was the third highest run scorer for Bangladesh (257 runs, avg. 32.12) and was the highest wicket taker (14 wickets @ 37.50). He is undoubtedly the the brightest star of Bangladesh cricket. Shahadat Hossain grabbed 10 wickets in 2006 with an avg of 50.90. Enamul Haque Jnr. missed one test match and took 8 wickets with an average of 47.37. No other bowlers made significant impact in 2006 with ball. In general, bowling remained the same in test cricket, bowling average of 44.5 vs 48.6 while batting average was a bit better 25.2 vs 22.5. Bangladesh played with the two best performing test team of 2006 (Australia and Srilanka) and yet ended with some good performance which is definitely a good step in right direction. When Bangladesh will again play test cricket in 2007 against India in May 2007, Bangladesh will definitely feature as a different test team. Much have already been talked about Bangladesh's recent success in ODI arena. Bangladesh have won 18 out of the total 28 match played. A common criticism about Bangladesh's success is the quality of opposition they played. 20 out of the 28 match were against minnows (Zimbabwe, Kenya and Scotland). They managed to win only one ODI against Srilanka apart from these countries. Despite the fact one has to admit that Bangladesh had no choice about their opposition. ICC devised the schedule and Bangladesh followed that. Bangladesh grabbed every opportunity and performed consistently enough to win those 18 matches. Winning makes a lot to Bangladesh team who have only won 10 out of their previous 125 matches (and these matches include defeats against the same Zimbabwe and Kenya). Bangladesh was never consistent with their performance since they played their first ODI in 1986. In 2006 Bangladesh has developed itself into a consistently performing team. Coach Dave Whatmore and selectors have drafted young performing players of U-19 block in the team and they performed as per expectation. Performance from young performers proved crucial for recent success. In batting Shahriar Nafees enjoyed a remarkable year with 1033 runs (avg. 41.31) in one calendar year with 3 centuries and 4 ODI fifties. Aftab Ahmed got brilliant starts in most of the game but failed to capitalize. He is the second best performer with 784 runs with an average of 34.08. Another two batsman who ended the year with 30+ average are Habibul Bashar (30.75) and the new kid Sakib Al hasan (45.15). In 2006, bowling department was a revolution in ODI. Each and every front line bowlers performed up to their potential. Mashrafe Mortaza set the record for Bangladesh by becoming the topmost wicket taker in 2006 with 49 wickets with an average of 20.46. The spin bowling rebellion Abdur Razzak became the 3rd highest wicket taker for 2006 with 45 wickets with an impressive average of 17.95. The good old man Mohmmad Rafiq (34 wickets, avg. 25.88) was equally brilliant with ball and the new addition to the spin bowling army Sakib-Al-Hasan (15 wickets, avg. 24.93) enjoyed some success in his brief ODI career. In 2006, Shahadat Hossain was one of the top performer with new ball. He took only 21 wickets playing 16 matches but he proved his potential to be the first choice strike bowler for Bangladesh in near future. This tall young lad has got the pace, bounce and aggression to become one of the leading pace bowler of world cricket. Syed Rasel played his part well with 23 wickets in 15 matches with an average of 23.21. Due to the combined good performance of bowlers, the bowling department made extremely steep progress compared to 2005. In 2005 the team bowling average for Bangladesh was 40.3 while in 2006 it was 23.8. In fact it was the third best ODI team bowling average among all ODI nation. Team batting performance in 2006 was not much better compared to 2005. It improved but not to the expected limit. Team batting average in 2005 was 25.1 while in 2006 it was 30.1. To win consistently against test playing nations or to challenge them we need team batting average around 35-40. Without few words about coach Dav Whatmore, this review will be incomplete. Dav attracted more media attention due to his influence in the team management than the success of his boys. This is unfortunate and injustice to the mentor of recent Bangladesh's success. 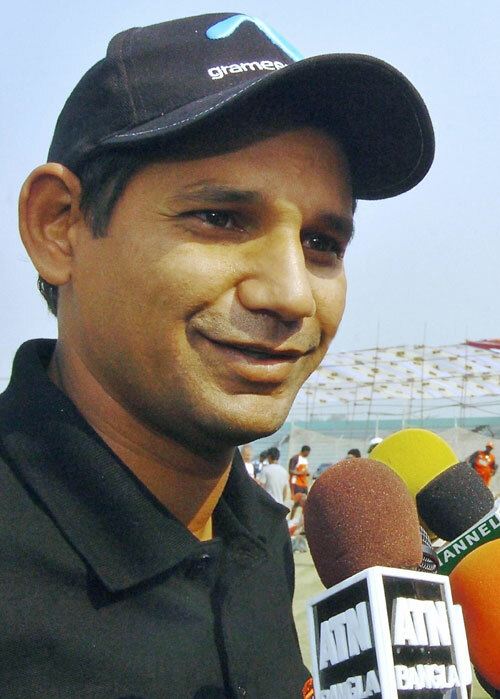 After taking the charge of the lowly Bangladesh team in 2003, Dav promised better individual show leading to a core Bangladeshi team before World Cup 2007. Through experimentations and his reliance on young blood, Dav finally got a suitable combination ahead of World Cup and guided the team brilliantly to a higher level. Its unfortunately true that, world media acknowledges Dav's contribution in recent advancement of Bangladesh cricket than Bangladeshi media. Now. its time to give credit where its due. I personally thank Dav for his belief on the lads and turn Bangladesh into a winning side. Bangladesh's next target will be consistent performance against all opposition in both forms of cricket. Bangladesh went past Zimbabwe and Kenya (previously ranked higher than Bangladesh). Bangladesh should now focus on the teams above Bangladesh in the ICC ranking table. In tests, West Indies and New Zealand are ranked above Bangladesh in 8th and 7th place respectively. In 2006, West Indies test team have team batting average of 30.4 compared to Bangladesh's 25.1 and team bowling average of 40.6 compared to Bangladesh's 48.6. Not a huge difference. I believe with the type progression Bangladesh is showing, it is just a matter of time to catch West Indies in tests. New Zealand has pretty similar team batting average of 28.1 while they have much better team bowling average of 28.1. Higher ranked teams have much better averages in both batting and bowling. In ODI, Bangladesh is currently 9th and England, West Indies and India are sitting above Bangladesh in 8th, 7th and 6th place respectively. In 2006, England ODI team have a team batting average of 27.4 compared to Bangladesh's 30.2 and team bowling average of 38.5 compared to Bangladesh's 23.8. Bangladesh showed much better performance in both departments. Keeping the opposition in mind, I am pretty hopeful to see Bangladesh above England in coming years. Interesting to note that, the other two teams West Indies (batting average 38.6 and bowling average 28.3) and India (batting average 29.7 and bowling average 29.9) are not too far away compared to Bangladesh's ODI performance in 2006. Bangladesh is entering into 2007 with a lot of promises and they have their performances to talk for them. For the first team in cricket history of Bangladesh, it's the performance of Bangladesh cricket team which is talking for them not the fans, administrators or the journalists. That's a definite leap in right direction for the Bangladesh Cricket. Bangladesh is currently ranked 9th in ODI cricket and still 10th in test cricket. Now, Bangladesh need to plan their future carefully and follow the plan. Bangladesh has got all the potential and performers to be ranked 7th-8th in ODI cricket and 8th-9th in test cricket at the end of 2007. I will be eagerly waiting to write that review for Banglacricket. I have started to write the review of 2006 and informed Zunaid bhai. Initially it included the domestic cricket. It was getting too long and that's why I have divided it into two parts. The second part will be about domestic cricket including BCB and team management. Please post your comment and suggestion to enrich the article. Fine effort Miraz. Waiting for the domestic edition to be posted soon. I'm sure both will make it to the front page soon. Benign is what you will be after you be eight. Thanks CB. Domestic edition will be posted within next Sunday. Miraz, in 2004 we have also won a match against Zimbabwe (led by Streak). So win against India was our third ODI victory against a Test playing country. Tried to resize few images and eventually failed . I hope these images will be appropriately resiged during the editing process by BC staffs and in particular Zunaid bhai. Another great work by Miraz bhai. Three cheers for you, Sir. Really great. Thanks Miraz Bhai. Waiting for the domestic part. Don't be puzzled about image sizes. You can use html tags here, and following is the resized image of Bashar's happy face in your article. Rest is easy for you I'm sure. Here's the code. i think you should also add that Bashar is the most successful BD captain ever and how his captaincy improved in the last couple of series'. With due respect, do u really think that Bashar's Captaincy has improved a lot?We rather had more negative comments in forum about his captaincy and rightly so. There is no doubt that he is the most successful captain until now for us, but I don't think Bashar's captaincy skill has played a big role.I give credit to all the brave young hearts who kept the winning spirit on.In terms of captaincy skill in field, Bashar is not even close to an intelligent and innovative captain. I am losing everyday, my team only looses sometime. I am and will always stand by my team. Hats off to you Miraz bhai for such an informative and nice writing.It was a great pleasue reading it.Please keep your good work on. Now, writing the domestic edition. I am impressed with the stats and achievements of the young guns. I am including NCL, A-team home and away tours, Academy team home and away tours, CCL, Premier League and first ever Twenty20 premier league in the discussion. I am also including grounds, BCB and Team management. Domestic edition is gonna more detail. Any suggestions for the domestic edition? Have a look at some of the notable performances in NCL 2006-2007. Performances by the young kids are really impressing me. Among oldies, Sharif is trying hard to get a national recall and Tapash is very impressive with bat. Superb stuff Man! You are a star!! A nice article to summerize the goodies of our beloved bd cricket. Regarding the domestic stats, the good thing I see here, there are not much repeated names. I see it possitively because it means we have many players who are capable to perform. On the negetive side, our stars definitely are missing consistency and not regular performer. I found a small misstyping in the article. In the One day Internationals section, 3rd para, 2nd line, it is mistyped 2005 instead 2006. Kabir Bhai, using your code, ekta image resize kor jai. Areka resize korte gele aagerta aabar ager size e chole jai.